FireMaster FireBarrier 135 has been specially developed for the high temperatures that may occur in tunnel fires. 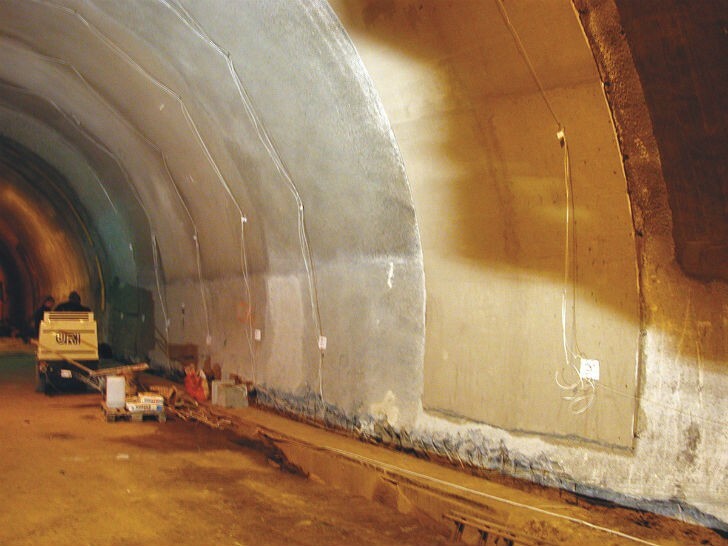 Unlike most other products used for tunnel fire protection, it can withstand repeated and prolonged exposure to high temperatures. It can be installed onto concrete or metal substrates using standard spray equipment, and featuring very low spraying wastage during installation, its single-layer application makes it fast and easy to install. It adheres to most construction materials and can be installed quickly, helping to reduce labour costs while maintaining the final product’s quality and reliability. FireMaster FireBarrier 135 has extremely high adhesion strength – typically eight times its weight, allowing fixings to be attached directly to it. It can be trowelled flat to provide a high-quality surface finish that can be used as the final tunnel lining surface (with optional painting), avoiding the need for expensive secondary cladding.